Fall is a season full of delicious flavors and yummy desserts—from pies with crisp apples to buttery pumpkin spice lattes. If you want a little taste of autumn without having to bake a whole dish, consider enjoying these mock tail for autumn instead. Nothing says autumn more than fresh apples. 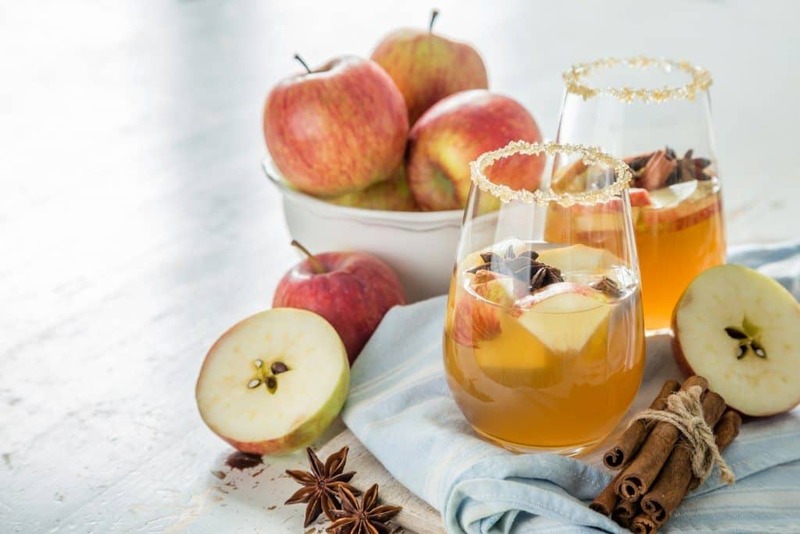 If you’d like to unwind with an apple-flavored drink, make yourself a quick caramel apple pie mocktail. This recipe from Merry About Town is made with apple cider, caramel syrup, sparkling water, and cinnamon. 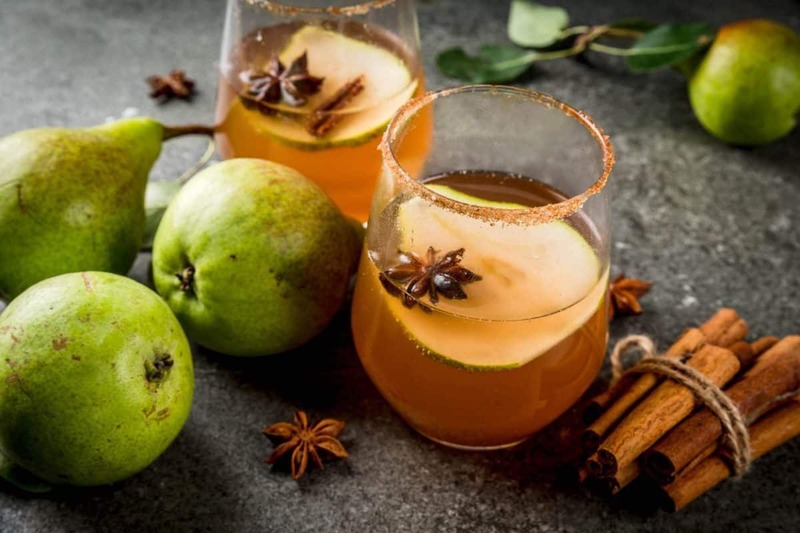 You then infuse the mixture with apple slices and rosemary sprigs and garnish your drinking glass with golden brown sugar. It’s a slice of pie in a glass. This is the season for pears—Concorde, Bartlett, Bosc, and Comice, Seckel, Forelle, and more. If you’re looking for a simple mocktail this pear drink from My Yellow Apron is for you. All you need is four ingredients. It’s made with pureed pears, ginger-honey syrup, soda water, and ice cubes. It’s a refreshing drink for the end of a very busy workday. Are your little ones big Harry Potter fans? If so, consider making a special Harry Potter butterbeer drink. This recipe from Our Family World is made with apple cider, pumpkin puree, cream soda, and butter extract, and ice. For an authentic look, serve the butterbeer in a beer glass and top with whipped cream. Young Harry Potter fans will get a big kick out of this! This cool weather gives you the perfect opportunity to make warm drinks. And this particular drink from Use Your Noodles can boost your immunity. The mulled mandarin drink is made with fresh mandarin orange juice and water. The drink is then infused with cinnamon sticks, cloves, ginger, peppercorns, anises, and honey. It’s a great drink to start your mornings with. Looking for another dessert-based mocktail? How about a sparkling pumpkin pie drink. 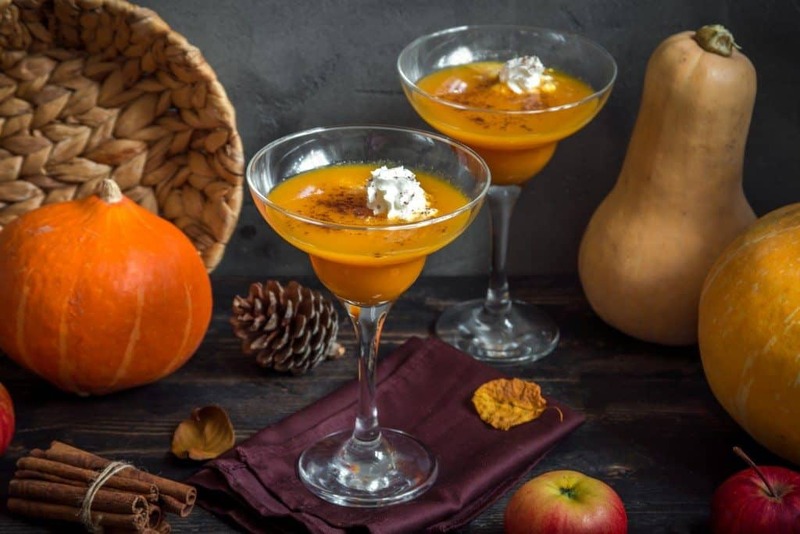 Smruti Shah at Target Made Me Do It created this delicious fall recipe using only five ingredients: pumpkin puree, sugar, sparkling apple cider, and pumpkin spice. The drink is then garnished with frozen peach slices, maraschino cherries, and mint leaves. The final product is all-around delicious. Maple is another common fall flavor—maple pecan iced coffees, maple pecan creamers, and maple walnut ice cream. Why not make yourself a maple-flavored mocktail? This recipe is made with cranberry juice, apple juice, sparkling water, lemon juice, and maple syrup. You can garnish your maple creation with maple sugar and cinnamon sticks. If you’re planning a party, this drink will make a yummy addition to your punch table.